The ‘’Radio Frequency Identification’’ (RFID) or ‘’Electronic Identification’’ (EID), is a system that allows the transmitting of information at distance, thanks to an electromagnetic field of radio waves. This system uses a Low Frequency technology, specially adapted for animal identification, unlike the High Frequency. In fact, the operation of Low Frequency is minimally altered by the presence of humidity and conductor elements at proximity. In 1996, the RFID for the animal identification is standardized by the International Organization for Standardization (ISO) with ISO 11784 and ISO 11785 standards. 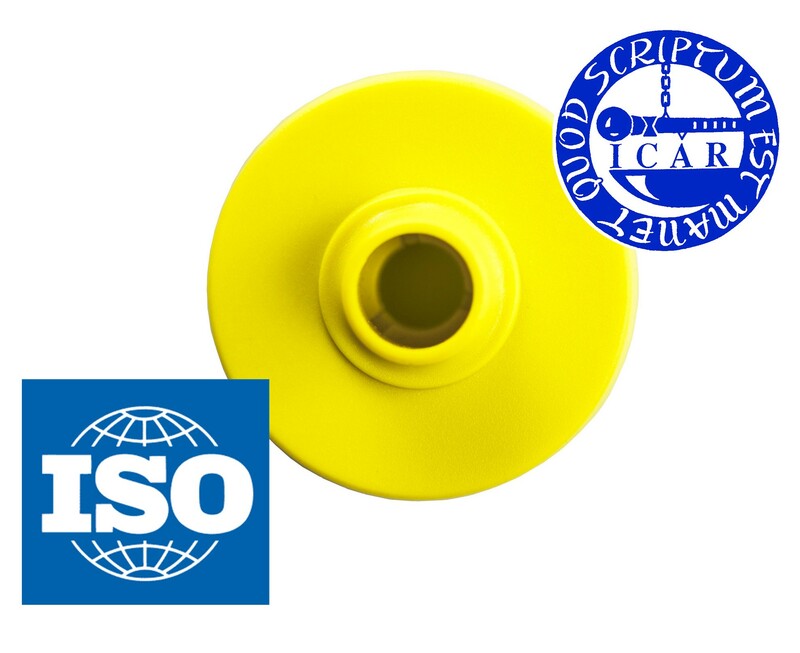 All ARDES electronic ear tags meet the ISO 11784-11785 technical conditions, and are approved today by the ICAR service “International Committee for animal Recording”, to propose an efficacy and functional electronic identification system. 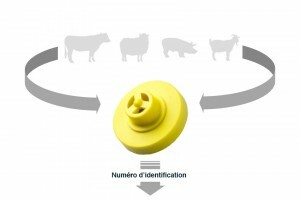 The electronic animal identification is a solution constituted by several elements, in order to assure an information exchange from the animal to the user. It is not possible with this technology to detect an animal on a long distance (in the middle of a field for example), because of the poor magnetic field issued by the readers. In these conditions, it is necessary to individualize the reading, thanks to adapted contention systems (individual corridor for instance). When it is registered on the reader, the number is transmitted (by a wire or in distance by Bluetooth) to a computer or a robot. The user, thanks to technic solutions, exploits the number in order to increase the productivity and the profitability of the animal. ARDES helps in the setting up of the solutions; here is a list, non-exhaustive, possible applications in practice, for the electronic identification solution. How electronic ear tags work? 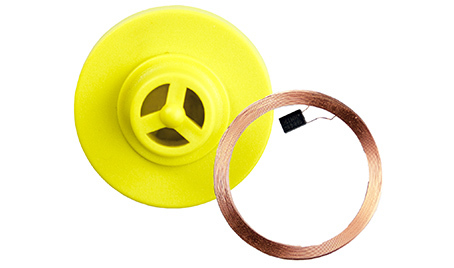 The electronic ear tag is qualified of “passive” because it does not contain neither battery, nor energy sources, guarantying an unlimited lifespan. The energy comes from the reader that activates the electronic ear tag. Then, the electronic ear tag is the information source and the basis of all the RFID system. A transponder is composed of an electronic chip and a microcircuit in silicon. 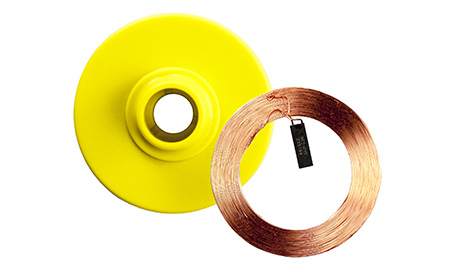 This microcircuit contains the identification number of the animal pre-encoded by ARDES and a circular antenna, made of a wound copper wire. 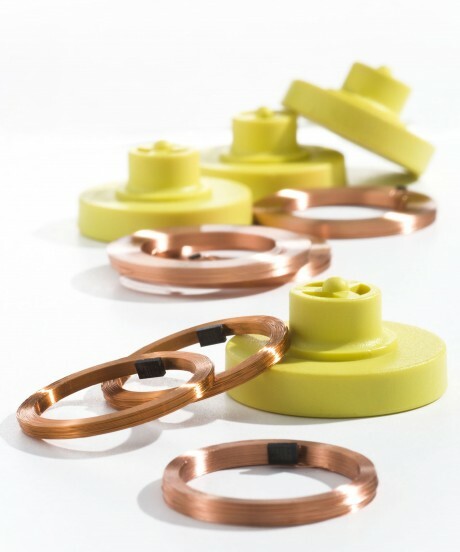 The ARDES plastic envelope protects the transponders from shocks and humidity, thanks to a polyurethane cap resistant to breeding conditions of cattle, sheep, goat, and swine. ARDES electronic ear tags are available in “Half-Duplex” (HDX) and “Full-Duplex” (FDX). These technologies respect ISO 11784 and ISO 11785 standards. The transponder conception and the reading distance performances of HDX and FDX electronic ear tags are different. HDX technology is based on an asynchrony exchange. The transmission signal of HDX ear tags are more powerful, allowing to have a higher distance of reading. FDX technology is based on a synchrony exchange. The FDX electronic ear tags offer standard performances against HDX, but their initial cost is lower. ARDES guides concerning the placing of these solutions ; here is a non exhaustive list of the possible applications in the field of the electronic identification solution. The automatic launching of the doors opening and closing.